You just want to know. the mental health chatbot that thinks like a therapist. Using Psychological Artificial Intelligent (Tess) to Retrieve Symptoms of Depression and Anxiety: Randomized Controlled Trial. Background: Students in need of mental health care face many barriers including cost, location, availability, and stigma. Studies show that computer-assisted therapy and 1 conversational chatbot delivering cognitive behavioral therapy (CBT) offer a less-intensive and more cost-effective alternative for treating depression and anxiety. Although CBT is one of the most effective treatment methods, applying an integrative approach has been linked to equally effective posttreatment improvement. Integrative psychological artificial intelligence (AI) offers a scalable solution as the demand for affordable, convenient, lasting, and secure support grows. Objective: This study aimed to assess the feasibility and efficacy of using an integrative psychological AI, Tess, to reduce self-identified symptoms of depression and anxiety in college students. Methods: In this randomized controlled trial, 75 participants were recruited from 15 universities across the United States. All participants completed Web-based surveys, including the Patient Health Questionnaire (PHQ-9), Generalized Anxiety Disorder Scale (GAD-7), and Positive and Negative Affect Scale (PANAS) at baseline and 2 to 4 weeks later (T2). The 2 test groups consisted of 50 participants in total and were randomized to receive unlimited access to Tess for either 2 weeks (n=24) or 4 weeks (n=26). The information-only control group participants (n=24) received an electronic link to the National Institute of Mental Health’s (NIMH) eBook on depression among college students and were only granted access to Tess after completion of the study. Results: A sample of 74 participants completed this study with 0% attrition from the test group and less than 1% attrition from the control group (1/24). The average age of participants was 22.9 years, with 70% of participants being female (52/74), mostly Asian (37/74, 51%), and white (32/74, 41%). Group 1 received unlimited access to Tess, with daily check-ins for 2 weeks. Group 2 received unlimited access to Tess with biweekly check-ins for 4 weeks. The information-only control group was provided with an electronic link to the NIMH’s eBook. Multivariate analysis of covariance was conducted. We used an alpha level of .05 for all statistical tests. Results revealed a statistically significant difference between the control group and group 1, such that group 1 reported a significant reduction in symptoms of depression as measured by the PHQ-9 (P=.03), whereas those in the control group did not. A statistically significant difference was found between the control group and both test groups 1 and 2 for symptoms of anxiety as measured by the GAD-7. Group 1 (P=.045) and group 2 (P=.02) reported a significant reduction in symptoms of anxiety, whereas the control group did not. A statistically significant difference was found on the PANAS between the control group and group 1 (P=.03) and suggests that Tess did impact scores. Conclusions: This study offers evidence that AI can serve as a cost-effective and accessible therapeutic agent. Although not designed to appropriate the role of a trained therapist, integrative psychological AI emerges as a feasible option for delivering support. Most days, Jillian Bohac feels overwhelmed. After her husband was hit by a truck while riding his bike, he suffered a brain injury that produced so many clots, she says, that it “looked like a night sky” on the CT scan. Once the most independent man she knew, he now needs help putting on his shoes. Bohac, a social worker, is now a full-time caregiver for her husband. “I’ve gained weight, lost all my friends, have anxiety – I’m a mess,” she says. “My focus is him, 100%. As a social worker, you’d think I’d know better, but it sneaks up on you, the self-neglect. You’re aware you have needs, too, but it just doesn’t work out that way.” When asked if there are enough supports out there for family caregivers, she is adamant that there are not. Bohac is not an outlier. As of 2012, according to Statistics Canada, over 8 million Canadians provided care to a chronically ill or disabled friend or loved one. The country has an ageing demographic and an increasing number of long-stay home-care patients, so the number of older people in Canada who could need the assistance of caregivers, informal and professional, is growing. Many caregivers say they don’t have money to hire private care or a support network. For those in the middle of their careers who can’t afford to quit, government-funded programs that provide caregivers help from nurses and personal support workers become increasingly important. But those resources aren’t always immediately accessible to caregivers, and the system can be backlogged, depending on the area where a patient lives. Tess is a mental health chatbot. If you’re experiencing a panic attack in the middle of the day or want to vent or need to talk things out before going to sleep, you can connect with her through an instant-messaging app, such as Facebook Messenger (or, if you don’t have an internet connection, just text a phone number), and Tess will reply immediately. She’s the brainchild of Michiel Rauws, the founder of X2 AI, an artificial-intelligence startup in Silicon Valley. The company’s mission is to use AI to provide affordable and on-demand mental health support. Rauws’s own struggles with chronic illness as a teenager brought on a depression that led him to seek help from a psychologist. In learning to manage his depression, he found himself able to coach friends and family who were going through their own difficulties. It became clear to him that lots of people wanted help but, for a number of reasons, couldn’t access it. After working at IBM – where he worked with state-of-the-art AI – Rauws had his “aha” moment: if he could create a chatbot smart enough to think like a therapist and able to hold its own in a conversation, he could help thousands of people at once and relieve some of the wait times for mental health care. It was precisely that potential that caught the attention of Saint Elizabeth Health Care. 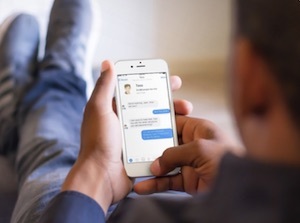 A Canadian non-profit that primarily delivers health care to people in their own homes, Saint Elizabeth recently approved Tess as a part of its caregiver in the workplace program and will be offering the chatbot as a free service for staffers. This is the first Canadian health care organization to partner with Tess and the first time that Tess is being trained to work with caregivers specifically. “Caregivers are really great at providing care. But they are challenged at accepting care or asking for help,” says Mary Lou Ackerman, vice president of innovation with Saint Elizabeth Health Care. And there’s no doubt that many need support, given the high rates of distress, anger and depression. Caregivers often juggle their duties with their careers and personal responsibilities. The mental planning can take its toll. They might be in charge of, for example, organizing rides to appointments, making sure their spouse is safe when they run out to get their medications, clearing snow from the wheelchair ramp and checking their spouse does not fall while going to the bathroom at night. 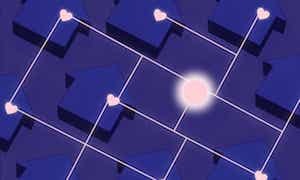 In your very first exchange with her, Tess will make an educated guess – drawing on the other conversations she has had with people and with the help of algorithms – about which form of therapy might be most effective. That doesn’t mean she’s always right. If her attempted treatment – say, cognitive behavioural therapy – turns out to be wrong, she’ll switch to another one, such as compassion-focused therapy. How does Tess know when she’s wrong? Simple: she asks. “Tess will follow up on issues the user mentioned before or check in with the patient to see if they followed through on the new behaviour the user said they were going to try out,” says Rauws. Tess’s great value is accessibility. Many caregivers found Tess convenient to talk with because she could be reached at any time – something they don’t have a lot of. “Caregivers say they can’t get out of their home. They’re so boggled with so many things to do,” says Theresa Marie Hughson, a former shelter worker who had to retire from her job three years ago to care for her relatives, including her husband, who suffered from chronic pain for over 19 years before passing in July. Hughson, who’s from St John, New Brunswick, says that when she was really burned out from caring for her husband, she tried to use a mental-health service for seniors offered by the province. It took a month for her to get her first appointment. “There was nobody there when I was really having a struggle coping,” says Hughson. Carpenter suggests that we have to recognize that chatbots are machines, despite their increasing sophistication. They do what we tell them to do. They think how we teach them to think. How well we reflect, and act, on what we learn about ourselves – what scares us, what calms us down – is largely up to us.